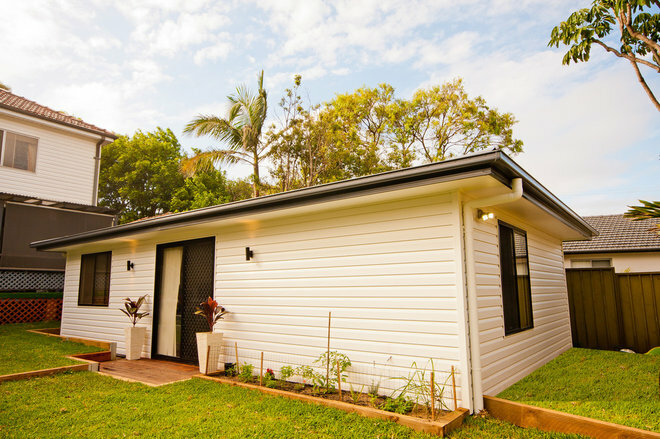 Whether you need to house an ageing parent, you’d like to have a separate space for guests to come and stay, or you’re just craving a quiet spot of your own to write that bestselling novel, it might be time to reimagine your backyard. 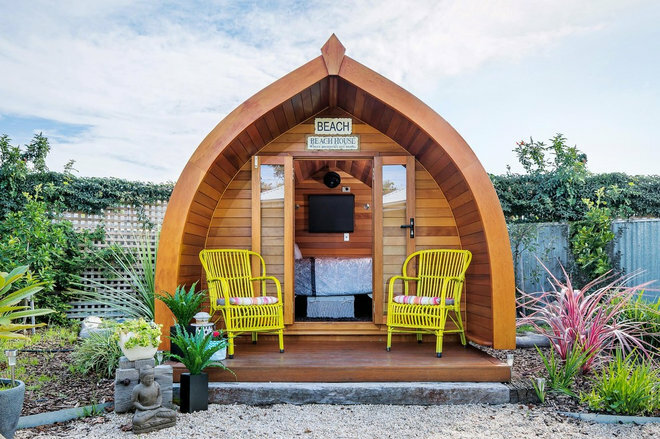 As these inspirational ideas reveal, backyard retreats come in all shapes and sizes – see which one would fit in best at your place. 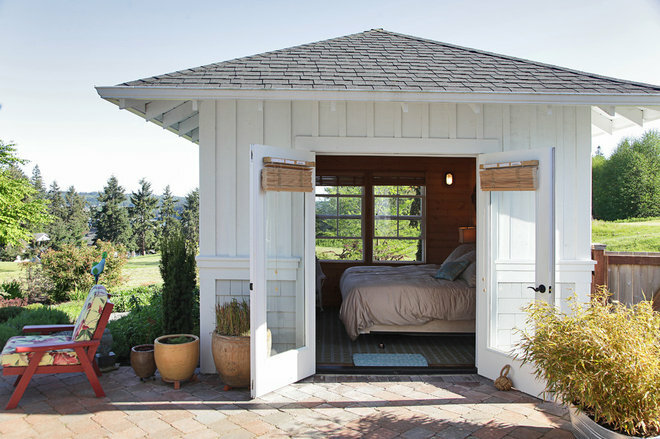 Why we love it: These smart guest quarters aren’t just for guests. 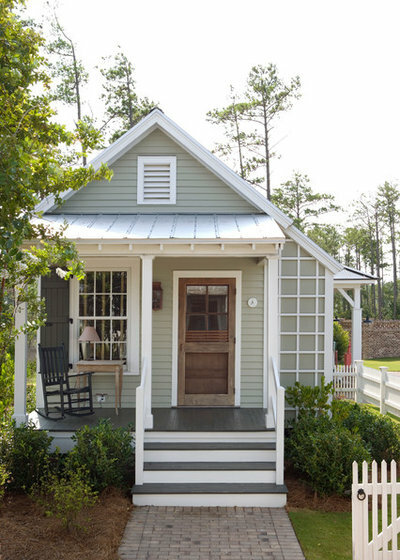 The two doors you see on the right open to reveal a bathroom/laundry and a light-filled workshop and storage area. And who doesn’t love an outdoor shower? 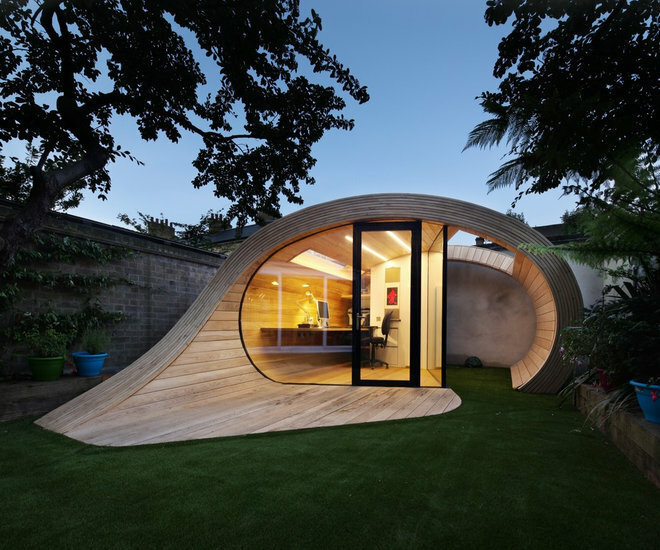 Why we love it: Creativity and productivity are assured in a home office this fabulous. 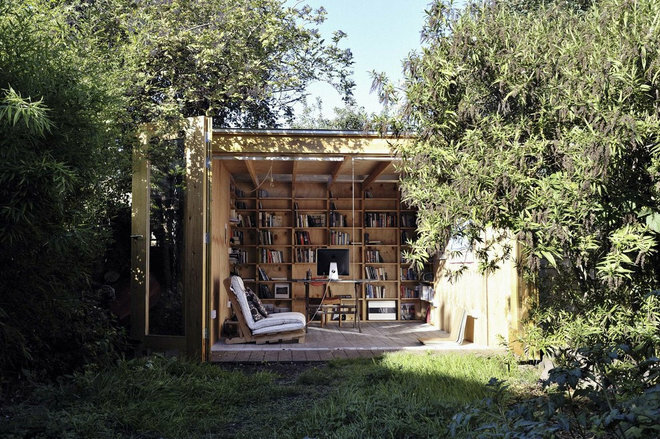 Who says a backyard room needs corners? Why we love it: Many people dream of having their own studio into which they can disappear to work on their art, but a studio that itself disappears is one step better. 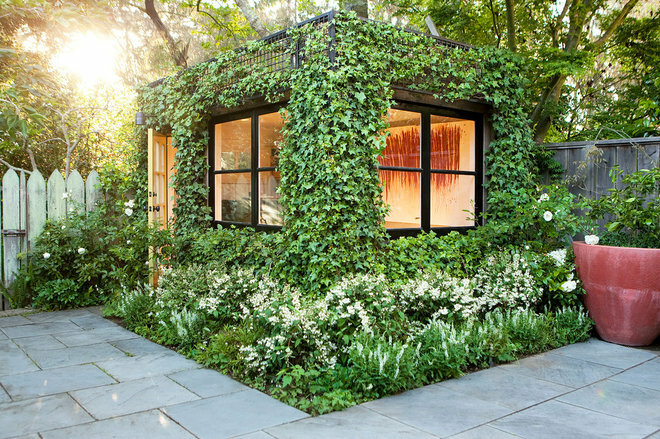 A greenery-covered room of one’s own is definitely worth aspiring to. Why we love it: Double doors that open when the mood strikes for a game of pool spark a sense of fun, sure to be popular when friends are over. 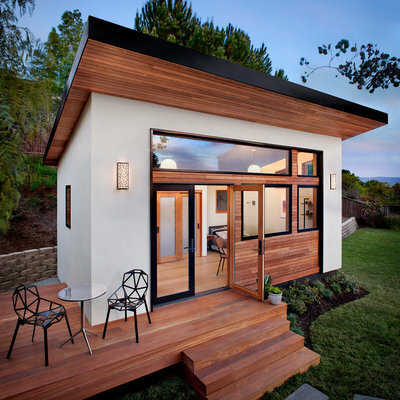 Why we love it: It may be compact, but sliding doors open the living area to the backyard and a skylight in the bedroom above brings in ample natural light. 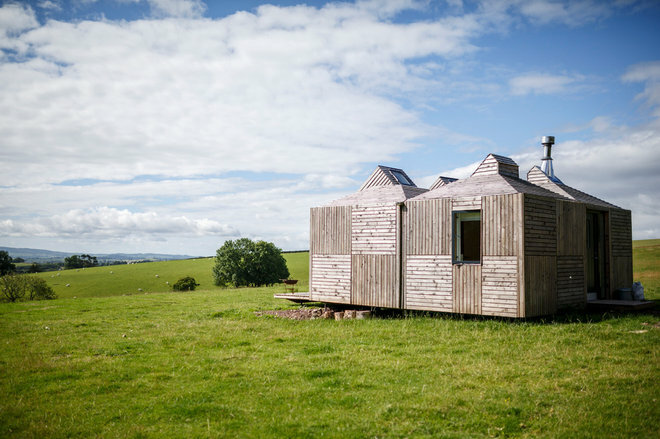 It’s rustic but clever by design. 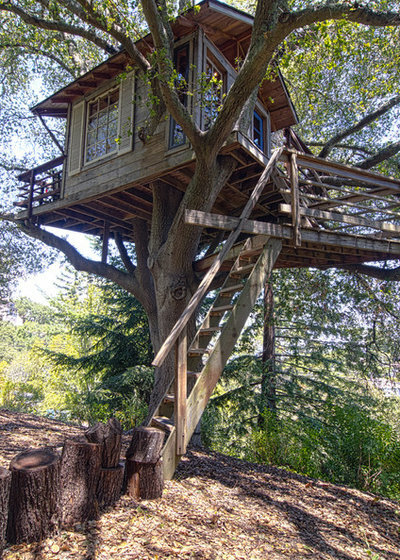 Why we love it: If you loved treehouses as a child, you’ll love this in your backyard… and so will the guests (big and small) who come to stay. We especially love that the trees make their presence felt inside as well as out. 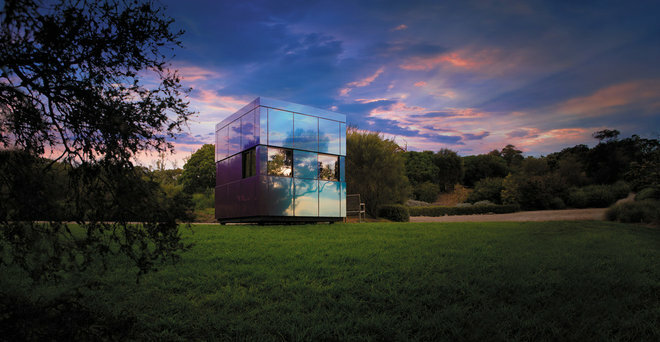 Why we love it: Those rough-hewn walls make this hideout blend into its surrounds, and its fold-away glass doors make the most of the ocean view. 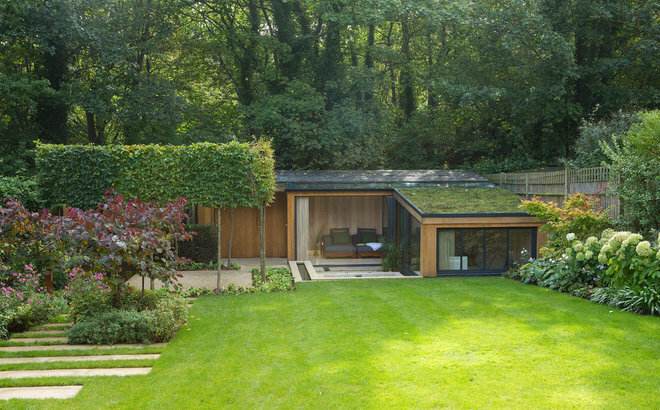 The walls are hinged to open the space to the breeze, and it even has a living roof. Why we love it: A simple design made charming with the help of a window box and ivy-covered front wall. 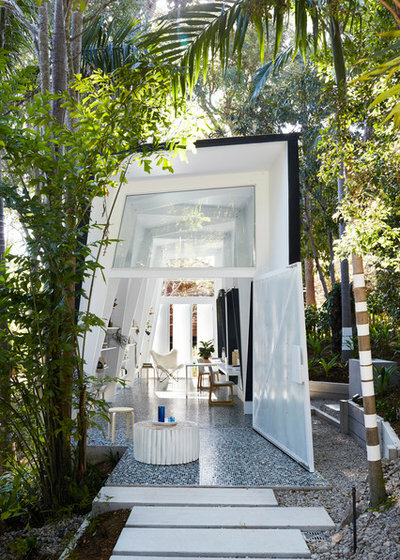 Why we love it: Tucked away in a tropical garden is this impressive home office and studio. Air and natural light flow effortlessly into the space. Inside, the mosaic tiles and lofty ceiling ensure occupants never feel hemmed in. 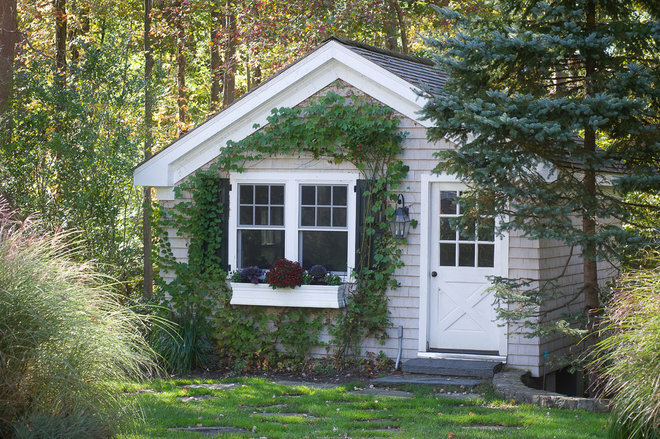 Why we love it: This music room and guest studio is freestanding, but maintains a connection to the main house with the help of a shared deck and pergola. 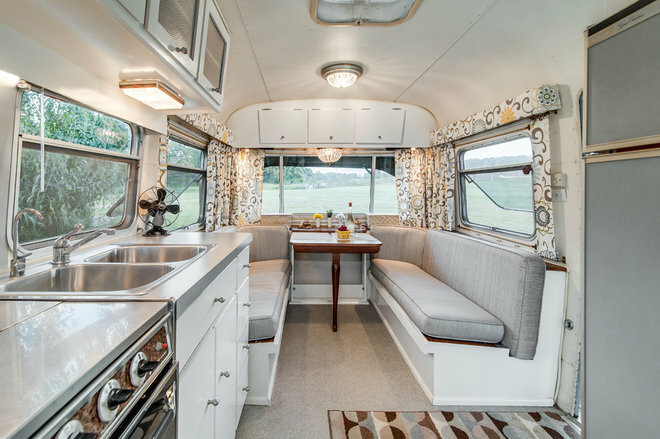 Why we love it: It may have had its day as a mobile home, but this refurbished 1972 Avion Camper is now a super-cool space for guests. Why we love it: A pool house with an outdoor kitchen that doubles as guest quarters is an entertainer’s dream. 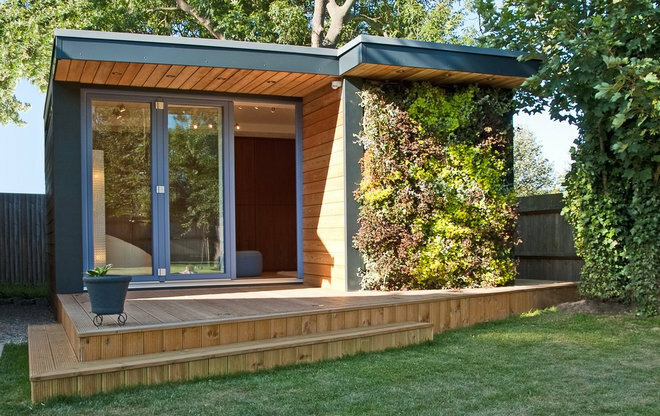 Why we love it: A study pod that reflects its surrounds – literally – is just the place to go when you need uninterrupted time to focus. Top-notch results are practically a given. 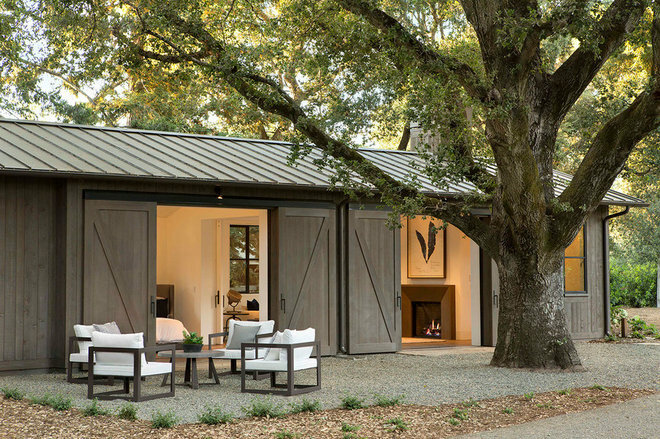 Why we love it: The sliding barn doors open to connect the guest house to the outdoors and main house, but when they’re closed guests can cosy up in absolute privacy. 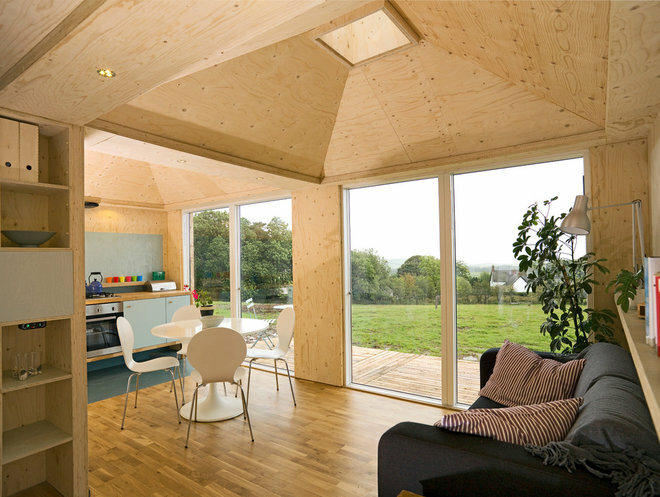 Why we love it: We love the use of timber inside and out of this modern teen retreat. 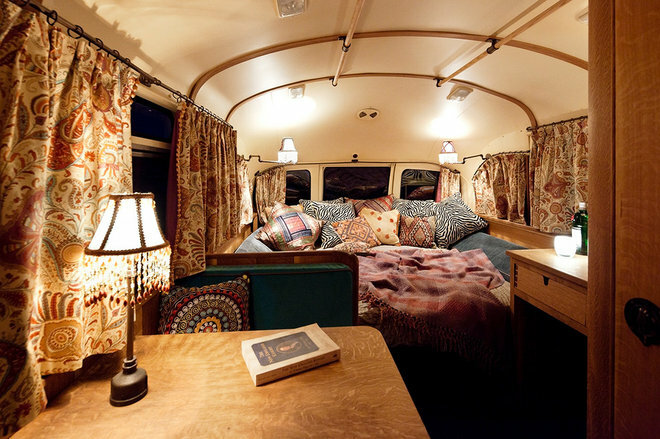 Adding an extra bedroom couldn’t be easier. 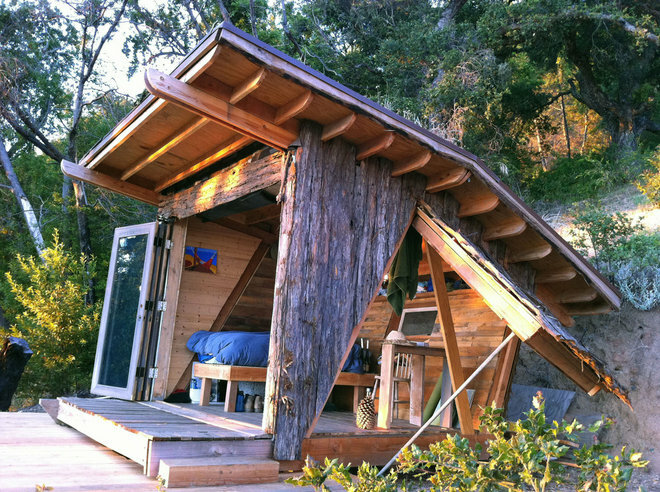 Why we love it: Handmade from western red cedar, this mini-beach house is cute as a button. 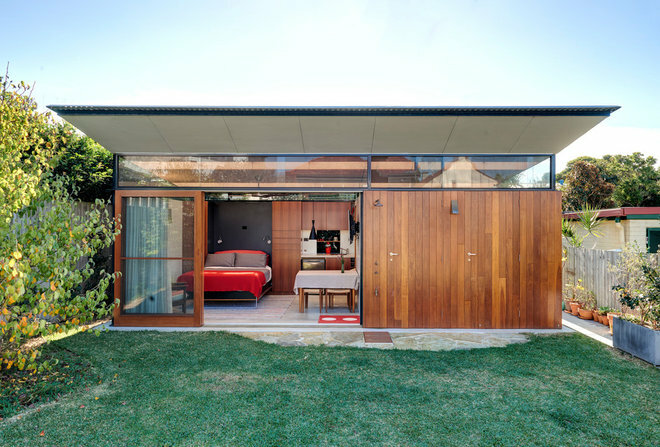 Why we love it: A granny flat needn’t be gigantic to be functional and inviting, especially when there’s no need for a bathroom or kitchenette. Check with your council to see whether you need approval for a simple design like this – you might be pleasantly surprised. 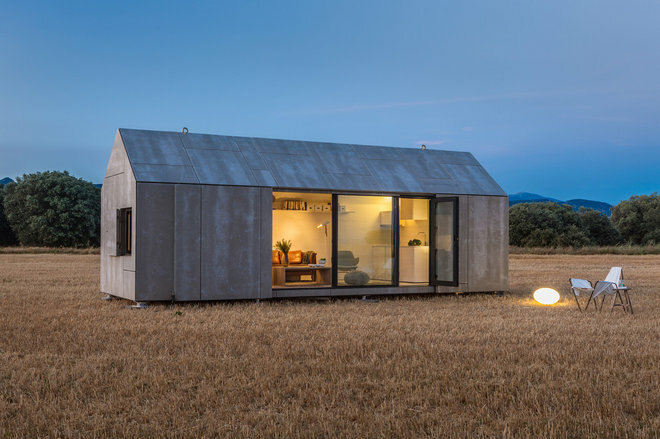 Why we love it: This contemporary abode can be transported just about anywhere, and its barn-like dimensions are just pleasing to the eye. Why we love it: A traditional granny flat with country-cottage charm will never go out of style. 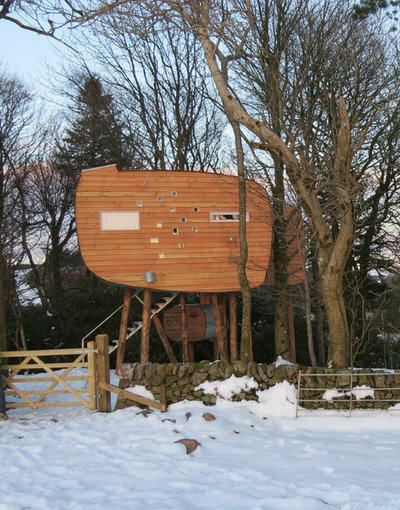 Why we love it: It may be unusual but this off-the-grid treehouse is a cosy retreat for two. 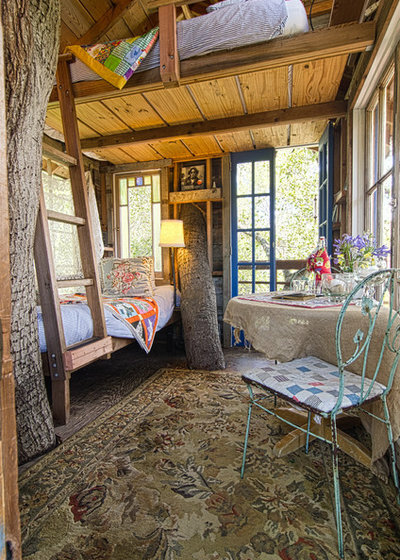 Inside, the tiny windows recreate the feeling of dappled light coming in through the trees. 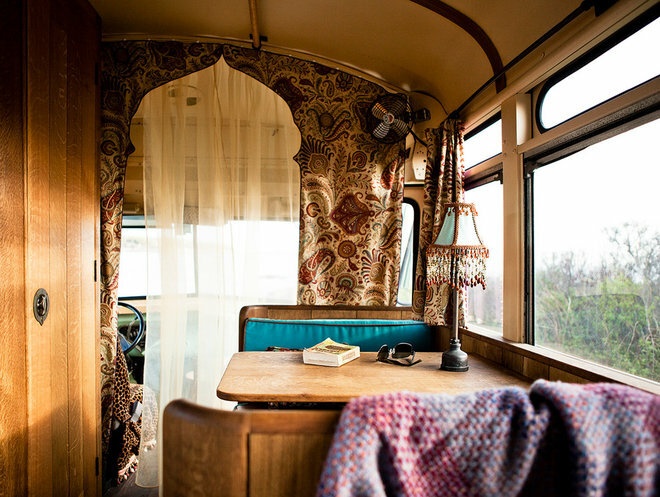 Why we love it: Finding this 1959 Chevy Viking Bus out rusting in a field was a stroke of good luck. 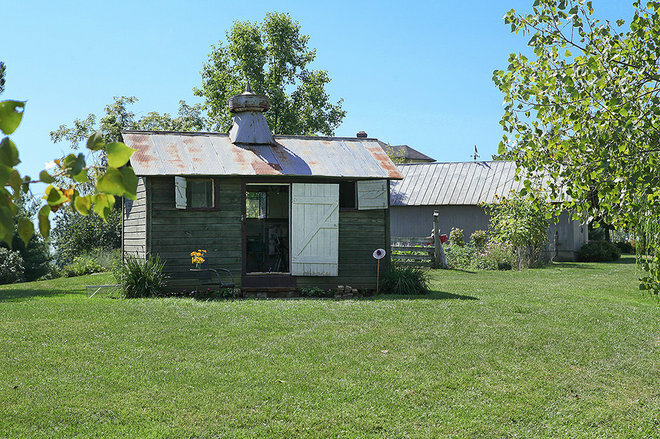 The owners completely refurbished it and it now serves as a quirky guest house on their property. … and you can even have a turn in the driver’s seat. 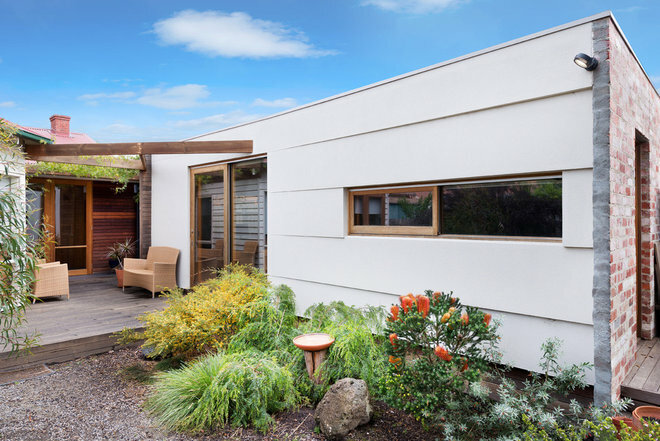 Why we love it: A granny flat needn’t be fancy to be fabulous. 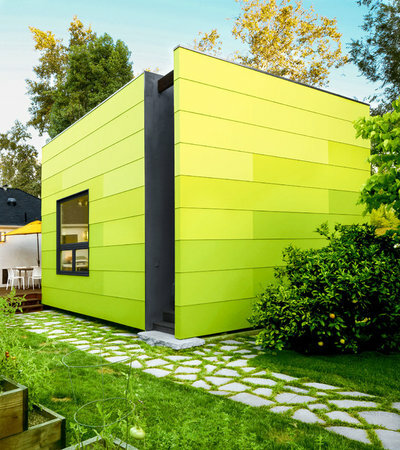 Some of the most successful designs tie in seamlessly with the main house, as this one does. Why we love it: A garden escape fashioned around an outdoor Jacuzzi sounds like heaven to us. 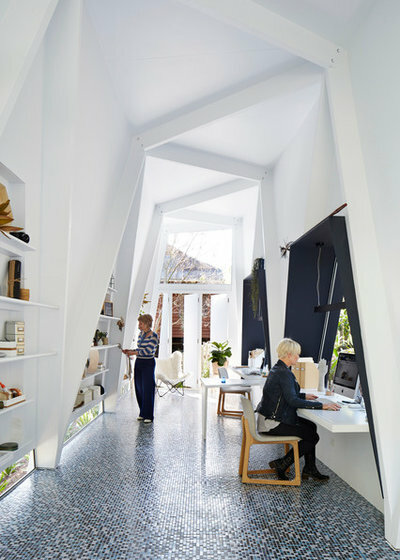 Why we love it: You don’t need an expansive garden or expensive materials to construct a separate home office – a wall of books turns this one into a place you want to be. 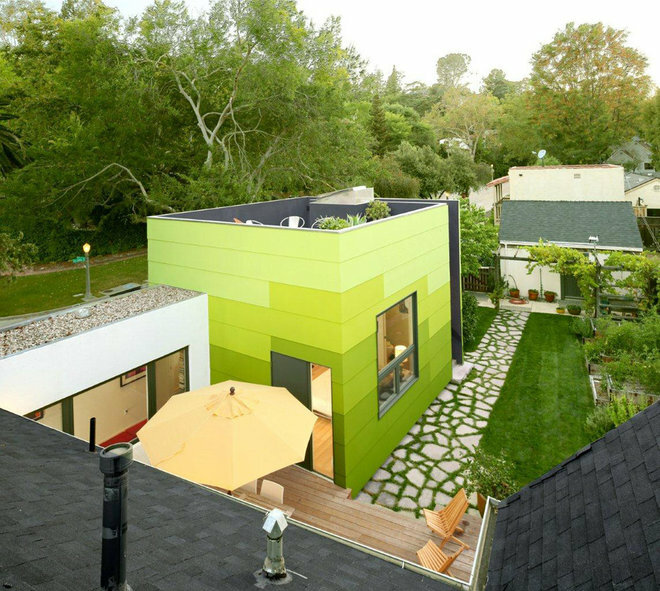 Why we love it: The thriving vertical garden softens an otherwise contemporary design. At night, downlights turn the garden wall into a feature. Why we love it: As long as a granny flat is watertight and it suits the climate, it can be as ramshackle as you like. 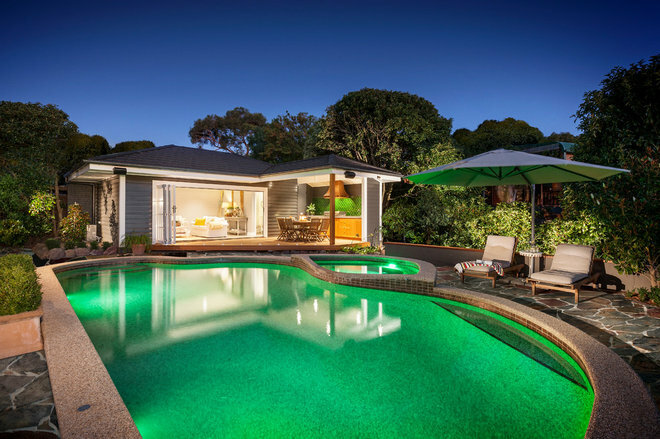 Why we love it: If you have the pool, the space and the means, a pool house is a fine way to enhance a home. We’re swooning over the outdoor fireplace, in particular. 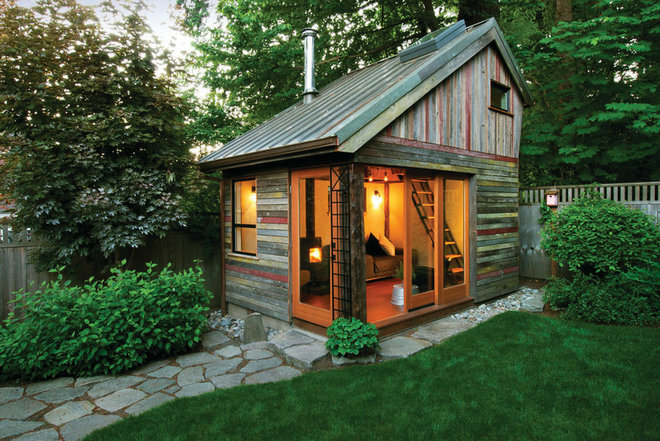 Why we love it: This is essentially a modern version of an old log cabin in the woods. 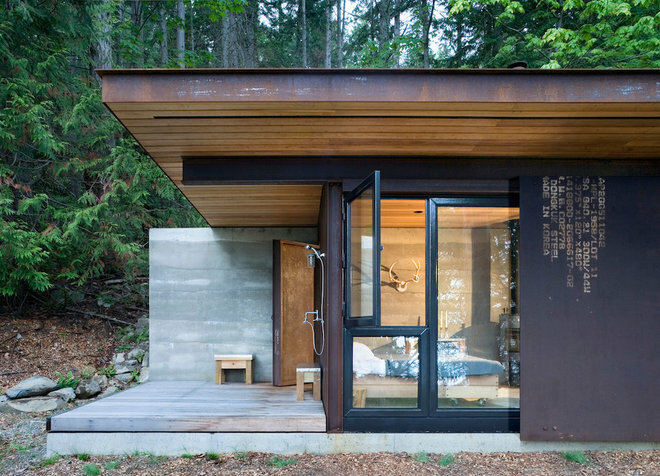 Rammed earth and recycled materials add so much character. 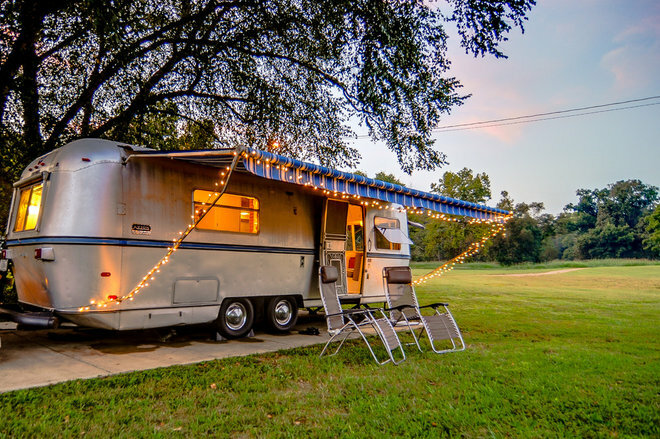 Why we love it: This country getaway sits lightly on the land and is a humble but ultra-comfortable home away from home for visitors. Inside, plywood warms up the space on cold, blustery days, and skylights enable stargazing. Why not start your dream renovation today! Start with a free consultation to discuss your ideas.